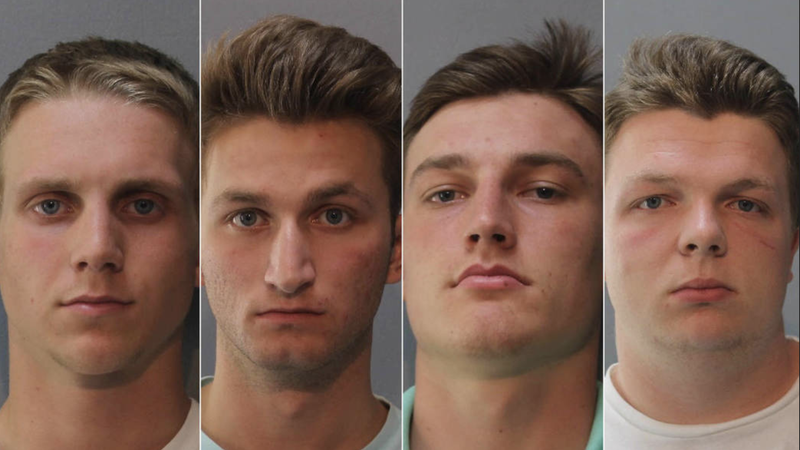 Tyler Curtiss, Matthew Lipp, Joshua Shaffer and Seth Taylor are the students charged with hate crimes related to racist and anti-Semitic graffiti painted at Glenelg High School. Alas, the white kids behaving racistly goes on. Last week, four teens were charged with hate crimes after they spray-painted the n-word, swastikas, genitalia and anti-LGBTQ slurs all over a Howard County, Md., high school and targeted the school’s African-American principal specifically. The Baltimore Sun reports that police arrested Seth Taylor, 18; Tyler Curtiss, 18; and Joshua Shaffer, 18, at Glenelg High School and arrested Matthew Lipp, 18, at his home for the crimes. The teens were charged with multiple counts of destruction of property based on race, color, religious belief, sexual orientation or national origin (I think these morons actually got all of the categories covered in their spray-painting spree). The Sun reports that Burton, who is in his second year at the school, held an assembly with students Thursday morning after the incident and received a standing ovation. On Friday school officials, the NAACP and other community leaders held a press conference to decry the students’ actions. Of course, these idiots were identified because of video cameras at the school. Authorities said that the misdemeanor charges carry a penalty of up to three years in prison.